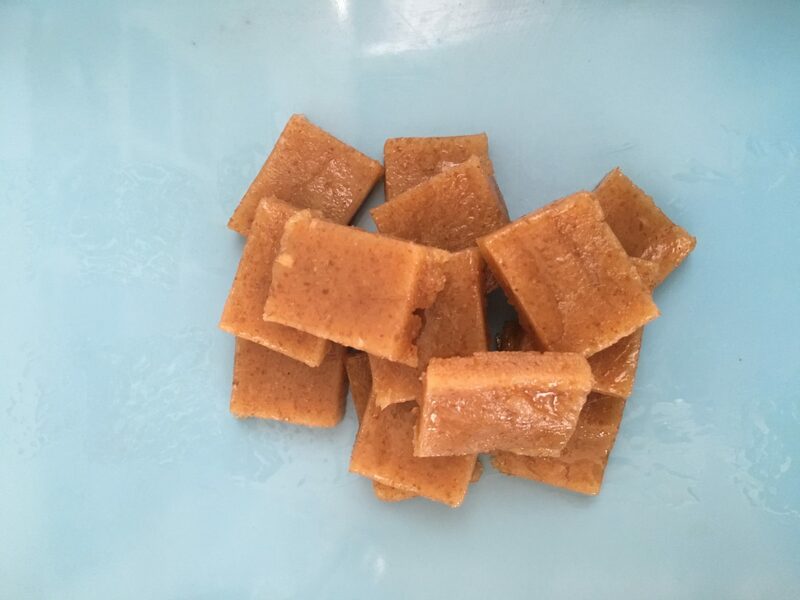 This quick fudge recipe is healthy and so easy to make. Keeping some in the fridge to enjoy with tea and a good book. It definitely hits the sweet spot. But without the guilt. Try it! Blend the macadamia nuts into smaller pieces. Be careful not to over-blend, as the oils might separate and make the fudge oily. Add the cup of medjool dates and blend until the dough forms a ball. Take the dough out and shape on a plate into a square. Refrigerate for about 3-4 hours. Or overnight. Cut into blocks. And enjoy! Store the rest in the fridge.